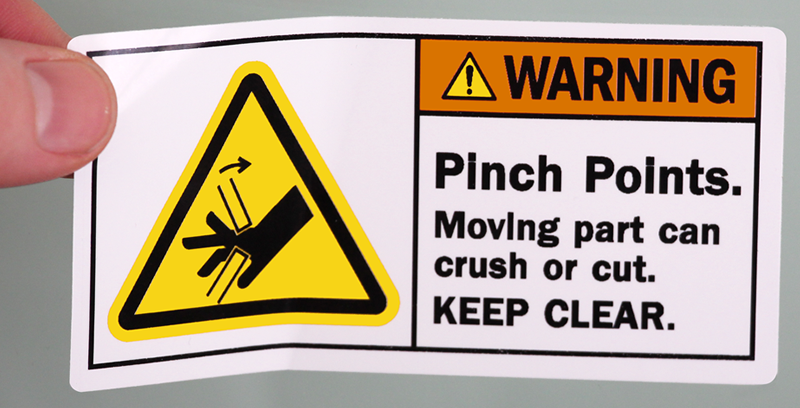 Safety Labels are not all created equally. Compare our labels with the competition and notice how our improved artwork and design give you a label with greater impact and more staying power. Safety should not be an afterthought or a secondary concern - make sure that you take advantage of every opportunity to remind workers about safe workplace tactics. Labels make it easy to put powerful reminders in all the right places.